Welcome! 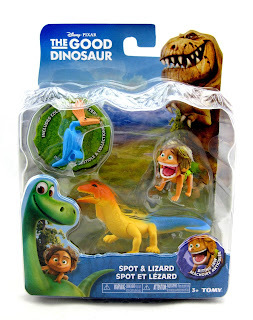 Following yesterday's post, today's post is another page update to my TOMY The Good Dinosaur action figure (small) collection...Spot & Lizard! This is the sixth and last small figure I needed for my collection (for now, until another possible wave hits). I'm so happy I found this one; I was looking forward to it! I really love the look of the Lizard figure and it's fun to have a another version of Spot (this one has an open/close mouth). Visit the original post HERE for the full update. 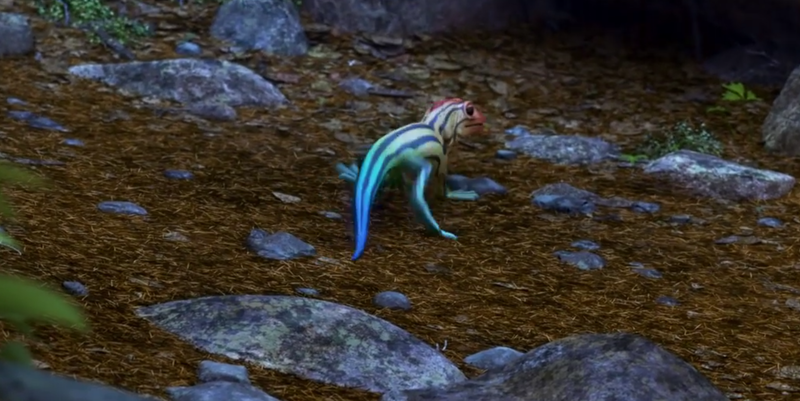 Note: Is this suppose to be the same lizard we saw in the first full trailer for the film (screen shot below)? 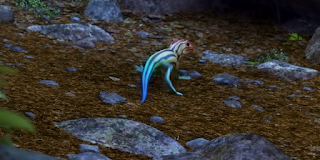 It seems so similar, but would that lizard actually have enough screen time to get its own toy? Plus the scale of this Lizard is bigger than spot and seemingly much bigger than the one seen in the trailer. What do you think? Shout it out in the comments below!